Oh, really? While it may be true that their competitors really don’t do precisely what they do, is that how customers see it? So I pull my stunt. 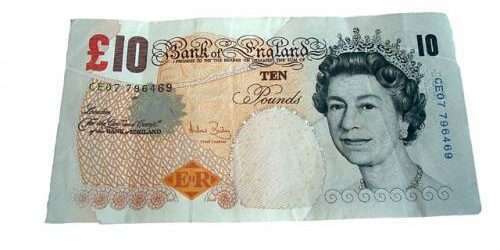 I take a ten pound note out of my wallet, place it on the desk, and ask the client to agree to a wager. The bet is that, within fifteen minutes, I can find a company on the web that would appear to do the same thing as my client. The bet has never been refused, and I’ve never lost. To understand your competitive position, you’ve got to view your company from the outside, as a potential customer would. How do your customers describe the problem they’re trying to solve? How do they describe the product or service they need? How do they differentiate between solutions? Perhaps it’s time to refresh your understanding of your competitive differentiation. When did you last go out to talk to people and find out how they perceive what you do? Matthew this is so true. I have never met a client who told me that their problem was differentiating themselves against others who ‘appeared’ to be offering the same or similar solutions.Almost everyone I meet tells me that they are unique and usually the ‘best kept secret in the market’.Helping people to cross the table and see life from the perspective of their customers is very often the most important thing that we do but if I’d read your email 15 years ago I might have quite a stash of £10 notes by now. Thanks for the tip. You and your colleagues at axongarside do a great job of helping people to see themselves from the customer’s viewpoint. Having that conversation with your clients can be quite difficult, as you know. No-one likes to be challenged about their long held assumptions of uniqueness and superiority. But it’s essential to have that challenging conversation, all the same.